Anyone looking to learn the real state of national and international space activities and the economic benefits deriving from those activities might not want to wait for the anticipated January 2015 delivery date on the next quarter million dollar Canadian Space Agency (CSA) study on the topic and could instead check out the just released 2014 report from the Organisation for Economic Co-operation and Development (OECD) on "The Space Economy at a Glance." The OECD Space Forum aims to assist governments, space-related agencies and the private sector to better identify the statistical contours of the growing space sector worldwide, while investigating the space infrastructure’s economic significance and potential impacts for the larger economy. The Forum includes institutions from nine OECD member economies (Canada, France, Germany, Italy, Korea, Norway, Switzerland, the United Kingdom and the United States), as well as the European Space Agency." According to the report, "the space economy represented some USD 256.2 billion in revenues in 2013, divided between the space manufacturing supply chain (33%), satellite operators (8.4%) and consumer services (58%), including actors who rely on some satellites' capacity for part of their revenues, such as direct-to-home satellite television services providers." But as outlined in the August 24th, 2014 post "Space Agency Seeks Insight into Space Industry," the CSA didn't just contribute data and background materials to the OECD. Over the summer, the CSA also solicited bids of up to $250,000 CDN, from "qualified suppliers" willing to undertake a "comprehensive socio-economic impact assessment" of the Canadian space sector. The original bid, as referenced on the the Public Works and Government Services Canada BuyandSell.ca website under the title Comprehensive Socio-Economic Impact Assessment of the Canadian Space Sector (9F012-140360/A), even explicitly referenced OECD expertise in this area. According to page 34 of the "Task and Solutions Professional Services (TSPS) Solutions Based Supply Arrangement (SA) Request for Proposal (RFP) for the Requirement of: Comprehensive Socio-Economic Assessment of the Canadian Space Sector for the Canadian Space Agency," the first task required as part of the project, was a "review of background documentation" and best practices such as those outlined in the OECD Handbook on Measuring the Space Economy. The most recent version of this handbook, published in March 2012, provided a summary of the key methodological issues surrounding indicators and statistics on the space sector and the larger space economy and was meant to be complementary to another publication, the 2011 edition of the Space Economy at a Glance. Both publications, along with many others, are available as free downloads from the OECD website. The final CSA contract, valued at $285,000 CDN according to the October 20th, 2014 post "Hill Times Promotes the 2014 Canadian Aerospace Summit," was won by the North American subsidiary of Paris, France based Euroconsult which is currently preparing the final report for presentation to CSA and other government officials, "by January 30th, 2015." Here's hoping that the OECD left at least some of the juicy details related to measuring the economic benefits of space activities out of its free reports in order to provide value to the paid report which Euroconsult is preparing for the CSA. Otherwise, even they might be better served by reading the free report. The October 21st, 2014 announcement that MDA had signed a $6.4Mln USD ($7.2Mln CDN) contract with the US Air Force (USAF) to further enhance the flight path safety system which aids the design of airport approach and departure flight paths. As outlined in the October 21st, 2014 Ottawa Citizen article, "MacDonald, Dettwiler and Associates receives more work from U.S. Air Force," the original system was developed by MDA for the USAF and deployed worldwide in 2004. The new contract will enhance the current system's capabilities by fitting aircraft with satellite-based navigation equipment. The total value of contracts awarded to date by the US Air Force for flight path equipment is about $20.2Mln USD ($22.7Mln CDN). The October 22nd, 2014 announcement that MDA had been awarded multiple contracts with "undisclosed customers in the oil and gas, and mining sectors" to deliver RADARSAT-2 surface movement monitoring products and services that "accurately detect and report the extent of surface movement in localized areas." Although not explicitly stated in the October 22nd, 2014 CNW press release, "MDA provides surface movement monitoring solution to key industries," these customers would likely be firms similar to the Vancouver based Tech Resources, which promotes a range of "diversified" resource management capabilities as part of its sales pitch. Oddly enough, while focused on mining and resource management, Tech is also one of the Canadian firms listed on the NewSpace Global list of actively traded public companies which make use of space derived technologies, primarily because of its use of Earth imaging tools to track minerals and other resources. The October 23rd, 2014 announcement that MDA had signed two contracts worth approximately $10Mln CDN with Beijing-based EarthSTAR Inc, a subsidiary of EarthView Image Inc, a Chinese geographic information systems (GIS) developer. As outlined in the October 23rd, 2014 CNW press release "MDA expands RADARSAT business in China," the first contract will extend an existing 2012 non-exclusive agreement for the distribution of RADARSAT-2 imagery data by Chinese government and industry customers, and grant EarthSTAR exclusive distribution rights to RADARSAT-2 data in China beginning November 11th, 2014. The second contract will have MDA construct a ground station in China to receive and process data from the RADARSAT-2 satellite. This station is expected to come online in late 2015. Launched in 2007, the RADARSAT-2 satellite (built by MDA under contract from the Canadian Space Agency) utilizes synthetic aperture radar (SAR) to provide high-resolution imagery for marine surveillance, ice monitoring, disaster management, environmental monitoring, resource management and mapping. The call will follow the release of MDA's Q3 2014 financial results at 2 pm PDT. MDA continues its strategy of aggressively pursuing contracts with both governments and commercial clients. With a string of successes this quarter (and likely more on the way), the company continues to ride high in the stratosphere of the space industry. The 50 year old, largely unofficial Canadian partnerships which tied together government, business and academia to define and inform our Canadian aerospace and space activities are about to split apart just in time for the expected Federal election tentatively scheduled for October 19th, 2015. And, the best place to watch the explosion is the fast approaching Canadian Aerospace Summit, which will be held in Ottawa, Ontario from November 18th - 19th. But while it's an unlikely scenario, that's the subtext of the October 13th, 2014 Hill Times Aerospace Policy briefing, which looked at recent military procurement failures, the new Defence Procurement Strategy, the Canadian Space Agency's (CSA) quest to make the economic case for continued CSA funding and the possibility that the Liberal party could go into the next election as a "renewed voice" for traditional space advocates, especially if they're academics. The briefing, with several authors writing a variety of articles on topics relating to Canadian aerospace and space activities, contains comments from Green Party MP Bruce Hyer, Liberal MP Joyce Murray, NDP MP Peggy Nash, Conservative Public Works minister Diane Finley and a variety of others. The key article in the briefing is titled, "Government stalling on purchasing anything under new Defence Procurement Strategy before next election, critics say," and focused on how no purchases have been announced under the new policy since it was implemented earlier this year. The article quoted NDP MP Jack Harris as calling the old system a "shambles" and stating that delays in the implementation of the new system make it difficult to understand what the new strategy means. 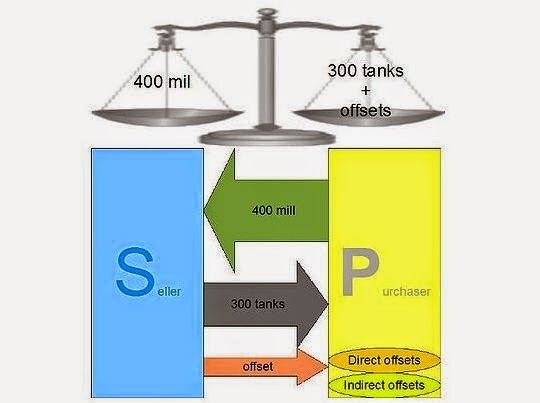 A sample offset agreement, with a supplier providing 300 tanks for $400 million dollars, plus a series of direct and indirect offsets. Canadian offset agreements were once calculated in terms of industrial and regional benefits (IRB) but a recent change in Federal legislation has replaced these credits with industrial and technological benefits (ITB). Graphic c/o Wikipedia. According to the article, a key component of this new strategy is the replacement of the existing industrial and regional benefit (IRB) credits currently used to insure that economic dollars are spent in Canada for Canadian government programs, with more robust industrial and technological benefits (ITB) credits. As outlined in the Industry Canada backgrounder on the "Value Proposition and Industrial and Technological Benefits," ITB credits will be mandatory, unlike IRB credits for which no formal enforcement mechanisms exist, and weighted as part of the contract negotiation process. According to the website, "bidders will be motivated to put forward their best industrial plan for Canada, as these plans will be scored on the quality of their Value Propositions." Jean Christophe Boucher. Photo c/o MacEwan University. 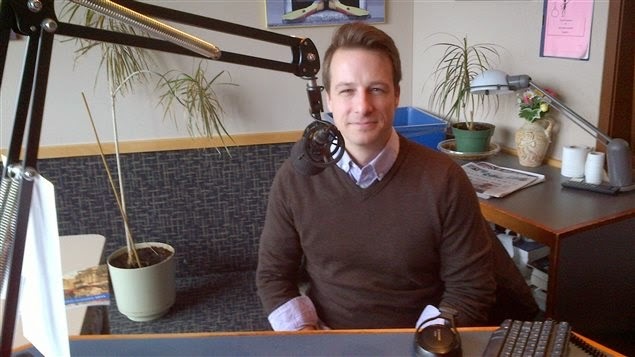 The article also quoted Jean Christophe Boucher, an associate professor of political science at MacEwan University in Edmonton, AB as stating that the new rules reflect a "lack of knowledge" on the part of the government on how to effectively manage large military procurement projects and are also weighted towards industry needs at the expense of academia. According to Boucher, academics will not "settle on being research assistants for industry." This academic perspective is reflected in two other Hill Times articles focused directly on the CSA. The article "Liberals look to be a renewed voice for space sector amid cutbacks," focused directly on Liberal party members with direct ties to the CSA, such as former CSA president and current liberal MP Marc Garneau and past CSA director of planetary exploration/ current Liberal candidate for the PQ riding of Dorval-Lachine-LaSalle Alain Berinstain along with Liberal MP and industry critic Judy Sgro, who've suggested, but not quite made explicit, a variety of vague ideas to bolster CSA funding and re-establish the government agency as the go-to hub for space science activities in Canada. Marc Garneau. Photo c/o parl.ga.ca. Left unsaid, of course, was any mention of the recent growth of private corporations or commercial space providers such as SpaceX, Virgin Galactic, MacDonald Dettwiler (MDA), COM DEV International, UrtheCast and others who seem to be driving the current space agenda in Canada, the US and elsewhere or any specifics of the proposed alternative approach. The second article, "Canadian Space Agency study to make economic argument for space investment," focused on the recent $285,000 CDN CSA contract to Euroconsult North America, a Montreal based consulting firm tasked with developing an "economic argument" for investing in the sort of science experiments the CSA is known for favoring. As outlined in the August 25th, 2014 post "Space Agency Seeks Insight into Space Industry" the finished report is scheduled for presentation to CSA and other government officials, but will not necessarily be released to the public, "by January 30th, 2015." Justin Trudeau. Photo c/o CBC. Of course, as outlined in the December 22nd, 2010 post, "Canada's Military Space Policy: Part 2, The Changing Political Landscape," the real history of Canada's space activities goes back to at least the 1960's when successive Liberal governments under Lester B. Pearson and Pierre Trudeau (father of current liberal leader Justin Trudeau) withdrew financial support from defence related space projects to concentrate on the development of commercial activities, starting with the domestic satellite communications system through private firms like Telesat Canada. This focus on commercialization has remained consistent over the following fifty years even through changes of government and isn't likely to change anytime soon, no matter how many ex-CSA employees have managed to develop second careers in the Liberal party. That's also why there are no concrete policy options being discussed; there are simply none being considered. Even the CSA study is still in process and won't be finished before January 2015. But for those of us who still think there is going to be a fight, the main players will be congregating at the Canadian Aerospace Summit, which will be held in Ottawa, Ontario from November 18th - 19th. And for those of us who can't wait until November, the Hill Times Aerospace Policy Briefing is available online on the Hill Times website. Sierra Nevada Corporation (SNC), the builder of the Dream Chaser orbital space plane, has stepped up its legal fight against NASA in the wake of SNC's not being awarded part of the latest in a series of contracts to ferry astronauts to the International Space Station (ISS) beginning in 2017. On Sept 16th, NASA announced its selection of the Boeing Company and SpaceX to receive $6.8Bln USD ($7.6Bbln CDN) in Commercial Crew Transportation Capability (CCtCap) contracts. Of the two, Boeing was contracted to receive the larger share of $4.2 Bln USD ($4.73Bln CDN) with SpaceX getting $2.6Bln USD ($2.93Bln CDN). 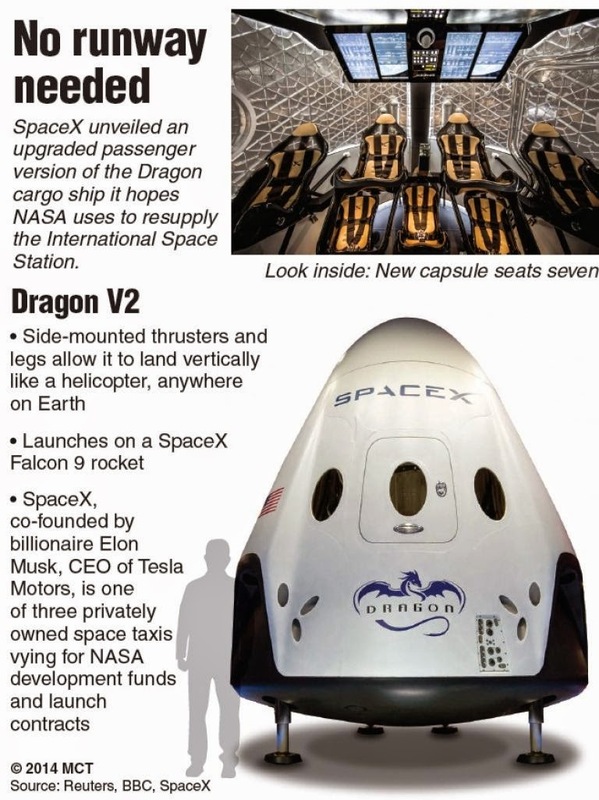 The decision has generated controversy since Boeing has received more funding than rival SpaceX for performing the same mission with comparable spacecraft (the Boeing's CST-100 versus the SpaceX Dragon V2) and also because SNC had been considered a favoured candidate. All three companies had received funding in earlier rounds of commercial crew contracts, which were designed specifically to encourage multiple and redundant designs for less than the cost of traditional single sourced approaches such as the NASA Orion Multi-Purpose Crew Vehicle (MPCV). NASA was widely expected to drop at least one commercial crew candidate in the latest funding round. But on Sept 26th, SNC filed a protest with the US Government Accountability Office (GAO) regarding the CCtCap awards and NASA issued a stop-work order shortly thereafter. Then, on Oct. 9th, NASA lifted the order on the grounds that any delay in implementing the CctCap contracts would put the ISS and its crew "in jeopardy." In response, SNC filed suit on October 15th in the US Court of Federal Claims in Washington, DC for both a temporary restraining order and a preliminary injunction to reinstate the stop-work order. The Court of Federal Claims began hearings on October 17th and has until Jan. 5, 2015, to rule on the case. At this point, someone decided that the best way to defend against a suit would be to begin leaking confidential documents. According to both the October 16th, 2014 Innerspace post "Hold On A Minute! SNC Files New Motion for Dream Chaser," and the October 11th, 2014 Aviation Week article "Why NASA Rejected Sierra Nevada's Commercial Crew Vehicle," a leaked memo signed by NASA associate administrator for human exploration and operations William H. Gerstenmaier stated that SNC's price advantage was offset by “the lowest level of maturity” of the Dream Chaser's design. The Dream Chaser, according to the memo, faced “significantly more technical work and critical design decisions” than its rivals, and also involved more schedule uncertainty. The leaked documents also commented on why Boeing was being paid so much more money for doing pretty much the same amount of work as its two competitors. "I consider Boeing’s superior proposal, with regard to both its technical and management approach and its past performance, to be worth the additional price in comparison to the SNC proposal,” stated Gerstenmaier, at least according to the leaked memo. Of course, SNC isn't totally dependent on NASA funding to keep the doors open at the Dream Chaser facility. In December 2013, the German Aerospace Center (DLR) announced a funded study, called the Dream Chaser for European Utilization (DC4EU) program, to investigate ways in which Europe might take advantage of the Dream Chaser crewed space plane technology. As outlined in the January 8th, 2014 SpaceFlight Now article, "Europe eyes cooperation on Dream Chaser space plane," the ESA will also partner with the DLR to study European launch options under the DC4EU program. 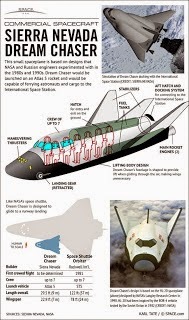 Best of all, as outlined in the January 14th, 2014 BBC News article, "Dream Chaser mini-shuttle given 2016 launch date," the Dream Chaser is currently self funded for at least one unmanned orbital test flight in November 2016, using an Atlas V rocket, from Kennedy Space Center. As outlined in the October 15th, 2014 Space Daily article, "SNC contracted for U.S. military technology demonstrator satellite," the firm also has other product lines and is not likely to drop off the face of the Earth anytime soon. But there is at least one parallel between SNC's response to the CctCap contract awards and last year's battle between SpaceX and the Jeff Bezos owned aerospace company Blue Origin, over the use of Launchpad 39 at Kennedy Space Center in Florida. In both cases, a company believing itself wronged through favoritism sought to delay its competitors through legal means, to the detriment of the industry as a whole. In the case of Blue Origin vs SpaceX, aggressor Blue Origin lost. 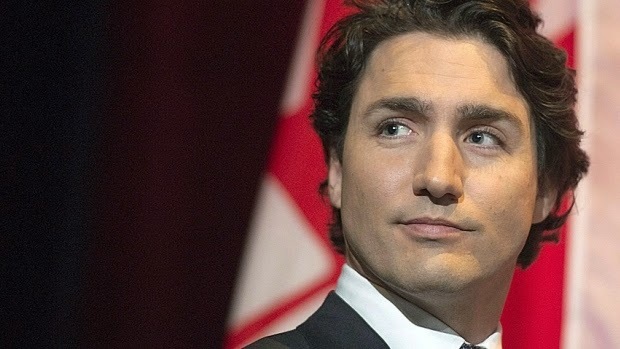 Will aggressor SNC succeed in this new dispute? By blocking the progress of SpaceX and Boeing, an SNC victory could hamper the growth of the NewSpace industry. Only time will tell which path the industry chooses. Another sign that the nascent Canadian NewSpace industry is coming along very nicely thank you was the announcement last week that Toronto, Ontario based SkyWatch, the April 2014 winner of the 2014 International Space Apps Challenge, had just been accepted into the fall Google for Entrepreneurs Tenancy Program in Waterloo, Ontario. The SkyWatch application is "a visual representation of data collected from observatories around the world in near real time about reported celestial events in the cosmos," which integrates the data collected into Google Sky, according to Skywatch literature. As outlined in the October 5th, 2014 Financial Post article, "Five Canadian startups turn to Google for their big push," the Google program is a six month residency and accelerator-style course that allows select start-ups to tap Google’s immense resources, from developers and engineers to big data analytics and marketing expertise, to commercialize and roll-out promising new technologies. But while multiple variations of the Google for Entrepreneurs programs are offered in more than 100 countries, the only Canadian location currently offering the program is in Waterloo, a Google engineering base. In Waterloo, the Google for Entrepreneurs program is run in partnership with Communitech, a regional hub for the commercialization of innovative technologies, which has supported nearly 1,000 companies since its creation in 1997 and generated more than $30Bln CDN in revenue. Expect more of this revenue to derive from NewSpace companies over the next few years. Building rockets is an activity that many in the public consider out of reach of individuals; the exclusive domain of governments and multi-billion dollar corporations, but a Toronto-based aerospace engineer is seeking to change that perception by taking rocketry back to its small-scale, craft-based roots. 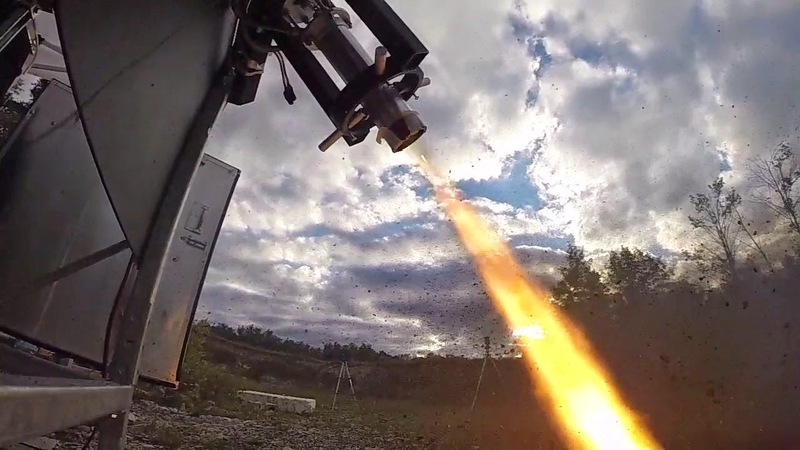 Testing a small liquid fueled rocket at a Kitchener, Ontario test site. In the background on the left is a trailer containing the testing equipment and storage facilities for the fuel. Photo c/o Michael Viechweg. 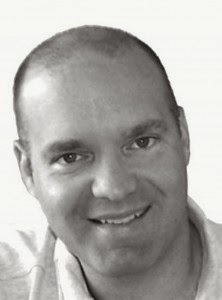 Adam Trumpour obtained his undergraduate degree in Engineering Science at the University of Toronto and a Master’s degree in Aerospace Engineering from Ryerson University. Prior to his formal rocketry education, he, like many others bitten by the space bug, built model rockets. Dissatisfied with off-the-shelf model rocket parts, Trumpour moved into amateur rocketry, building his own test stand and small liquid-fueled rockets. Trailer and test stand. Photo c/o A Trumpour. During his undergrad years, Trumpour worked as a volunteer with the Da Vinci Project, a Toronto-based team working to build a balloon-launched suborbital passenger rocket (dubbed "Wild Fire") in a bid to win the Ansari X-Prize. During his time with the Da Vinci Project, Trumpour helped design and build a 1000-lb nitrous oxide-parrafin hybrid rocket engine demonstrator. After completing his Master's degree, Trumpour obtained a position as a Concept Designer at Pratt & Whitney Canada, where he works today. Trumpour is also a consultant to Open Space Orbital (OSO), a group of entrepeneurs working to build an indigenous orbital launch vehicle for Canada and even authored a submission to the 2012 Federal Review of Aerospace and Space Programs and Policies (or "Emerson Report") under the title "Fostering Innovation, Creating New Markets: Novel Approaches to Space Policy and Programs," which discussed government procurement methodologies used in the space industry. While working for a large aerospace firm by day, Trumpour has found a way to pursue his passion during off-hours, as well. In his garage, Trumpour has built his own machine shop/rocket lab, where he designs and builds liquid and hybrid rocket engines. This home lab, financed out of his own pocket (and to which the author was kindly given an invitation to see), includes machine tools purchased second-hand or surplus from eBay and various other sources, including a massive 1980's vintage Bridgeport milling machine, a metalworking lathe, and a custom-designed cleanroom-type glovebox for cleaning rocket engine parts. Most impressive of all is a trailer that Trumpour has customized to act a a mobile fuel depot/service hangar for his home-built liquid-fuelled rocket engine. With his home-based machine shop, Trumpour seeks to drive home the point that the political, legal and financial constraints that hamper large space companies have left a considerable space open to the do-it-yourself crowd. The field of rocketry was born in garage-based workshops, where brilliant tinkerers like Robert Goddard and Hermann Oberth, along with Canadians like Lawrence Manning and Kurt Stehling, laid the foundations of the space age. By reviving the craft aspect of rocketry, Trumpour seeks to revive its creativity as well. Here are some short, Canadian perspectives on the recently concluded 65th International Astronautical Congress (IAC 2104), which was held in Toronto, Ontario from September 29th - October 3rd, 2014. Members of the AstroNuts Kids Space Club at the Orlan Space Suit display on the trade show floor of IAC 2014. From left to right are AstroNuts Ray Bielecki, Tim Fowler (wearing a blue shirt in back), Jack Fallows (wearing the orange jumpsuit in front), Brett Bielecki, Jessica Hunter, Jacob Fowler (wearing the Orlon Soviet space suit), Josiah Harris, Brandon Palos and Tom Harris. Photo c/o author. On Wednesday, Maritime Monitoring and Messaging Micro-Satellite (M3MSat) prime contractor COM DEV International (COM DEV) announced that Antrix Corporation, the commercial arm of the Indian Space Research Organization (ISRO), would launch the Canadian built M3M satellite on an upcoming ISRO Polar Satellite Launch Vehicle (PSLV) from India sometime in 2015. As outlined in the October 1st, 2014 Canadian NewsWire (CNW) press release, "COM DEV Announces New Launch Contract for exactEarth™ M3M Satellite," the ceremony formalizing the agreement was signed at IAC 2014 and witnessed by both Dr. V.S. Hegde, the chairman and managing director of Antrix, and Canadian Space Agency (CSA) president Walter Natynczyk. The announcement was a follow-on to the April 2014 announcement that the Federal government "has decided not to proceed" with the original June 2014 launch of M3MSat from the Baikonur Cosmodrome in Kazakhstan and the subsequent Russian allegations of the M3Msat's possible "military" uses. As outlined in the April 28th, 2014 post "M3Msat and the Politics of Dancing in the Crimea," the action was widely considered to be an escalation of Canadian sanctions against Russia over the ongoing situation in the Ukraine and Crimea. The Canadian federal government also continued to dial up the pressure on Russian delegates to the IAC. The September 30th, 2014 Canadian Press article "Russia upset over space conference visa denials," quoted an official with the Russian Federal Space Agency (Roscosmos) who said that only two of its 10-strong delegation expected to attend the IAC actually received Canadian visas and were able to enter Canada. The "failure to obtain visas for Russians is clearly politically motivated," the official told the Interfax news agency. Commercial Space blog editor Chuck Black presenting a paper on the topic of "100 years of Aerospace History in Canada. From McCurdy to Hadfield," written by Apogee Books publisher Robert Godwin and the late Canadian aerospace icon Phil Lapp for IAC 2014. It's estimated that almost 1800 of the 3100 registered attendees took part in the presentations or served on one or more of the many panel discussions. Photo c/o author. Plucky satellite image reseller UrtheCast has announced that it will soon select a provider for the latest optical and radar instruments it plans to install on a US module attached to the International Space Station (ISS) as early as 2017, according to the October 1st, 2014 Space News article "65th International Astronautical Congress | UrtheCast To Select Providers of ISS Cameras Soon." The BC based company, which already operates two camera on the Russian Zvezda module of the ISS, is in the final stages of evaluating proposals for the additional systems. “We will be announcing the contractor team in two to three weeks,” said UrtheCast CEO Wade Larson at a press conference held at the 65th IAC. 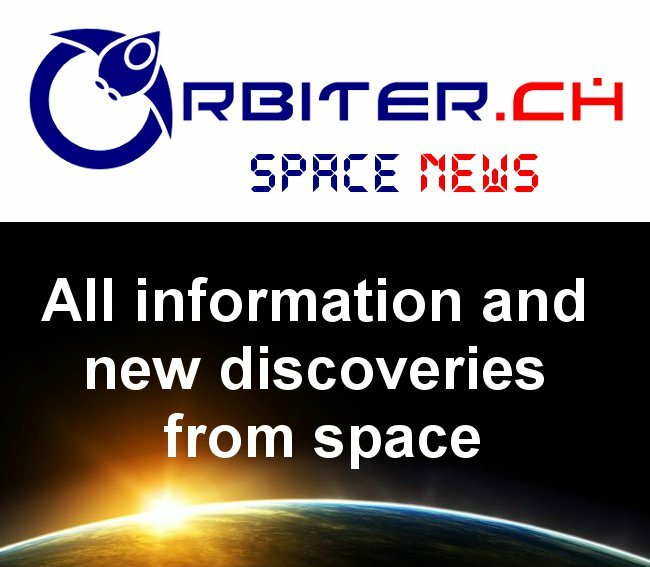 According to the Space News article, one of the new instruments in the system will be a camera capable of taking images and video at visible wavelengths at resolutions as sharp as 0.5 meters. The other "is a synthetic aperture radar that can operate at L- and X-band wavelengths simultaneously." A quiet Chinese booth on the final day of IAC 2014. According to the September 29th, 2014 Space News article, "65th International Astronautical Congress | Visa Issues Keep Russian, Chinese Engineers Away from IAC 2014, multiple Russian and Chinese delegates "failed to obtain visas to attend the 65th International Astronautical Congress (IAC) here this year, an absence that undermined space agency arguments that space cooperation should not be subject to short-term political issues." According to conference organizers, the IAF "wanted everyone to attend but wasn't able to anticipate what the Federal government wanted." Photo c/o author. It wasn't just the conference attendees who were up on Canadian contributions to space. US based Planetary Society CEO Bill Nye (the "science guy"), took time out of his busy schedule to celebrate the True North's strong contribution to human space exploration, just down the street from IAC 2014 at the University of Toronto. As outlined in the October 2nd, 2014 Weather Network post "Bill Nye and the Planetary Society highlight Canada's top achievements in space exploration," Nye, along with Planetary Society's online podcast host Mat Kaplan, Canadian astronaut Jeremy Hansen, Western University professor Gordon "Oz" Osinski, and Canadian science writer Elizabeth Howell, discussed what our great nation has contributed to the space sciences over the years. "Chris Hadfield, Jeremy Hansen and David Saint-Jacques ... these guys have inspired people," Nye said in an interview with The Weather Network, mentioning just the most recent astronauts to have served with the CSA. "That may not be a discovery, but it may lead to a discovery, by inspiring people." Boeing, Aerojet Rocketdyne and the Ukraine share trade show floor space at IAC 2014. The final day of IAC 2014 was "public day," where admission to the trade show floor was waived. Photo c/o author. A group of former MacDonald Dettwiler (MDA) employees has banded together to form Canadensys Aerospace Corporation (Canadensys), a company with an impressive business pedigree. The firm is building a robotic lunar spacecraft that, if successful, will place it on the map of NewSpace players. The International Lunar Observatory Mission (ILO-1). All photo's & graphics unless otherwise noted c/o Canadensys. Dr. Christian Sallaberger (President & CEO) - A former vice president and director of space exploration at MDA for 15 years, Dr. Sallaberger also worked at the the Canadian Space Agency (CSA) where he initiated the Canadian government’s planetary exploration program. Currently, in addition to his posts at Canadensys, Sallaberger is also chairman of the board of the International Space University (ISU) as well as chairman of the international space exploration committee of the International Astronautical Federation (IAF). 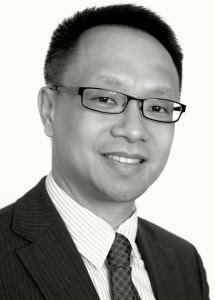 Eric Choi (Vice President, Responsive Space) – A former systems engineer at MDA, Choi has held a variety of management and technical positions throughout the space/aerospace sectors and academia, including business development manager at COM DEV International, senior market development specialist at Bombardier Aerospace, and senior technical associate at the University of Waterloo Institute for Quantum Computing. Choi has worked on many space projects, including a meteorology payload on the Phoenix Mars Lander, the Canadarm and DEXTRE robot aboard the International Space Station (ISS), the RADARSAT-1 satellite and the Measurements of Pollution in the Troposphere (MOPITT) instrument on NASA's Terra satellite. Choi is also a noted science fiction author. Canadensys' primary focus is on harnessing modern technologies such as nano and microsatellites to provide more affordable spacecraft and space-related services. 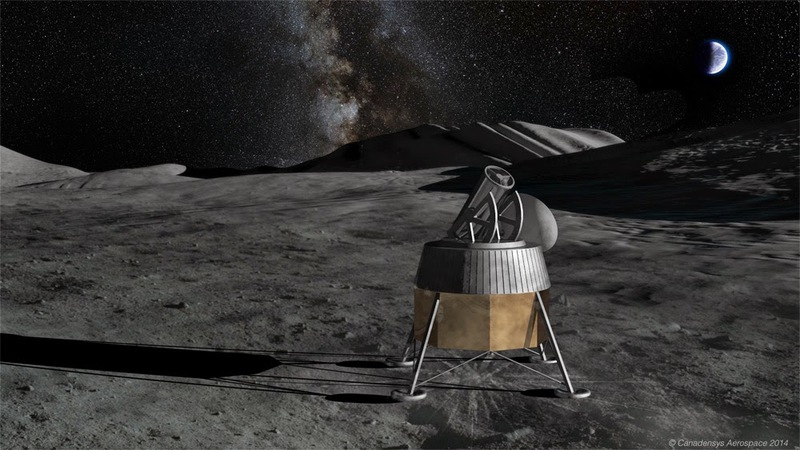 An upcoming showpiece of the company's vision will be the International Lunar Observatory mission 1 (ILO-1). ILO-1 is a robotic spacecraft (to be launched later this decade) that will perform a long-duration observation and communications mission at the South Pole of the Moon using a two metre dish antenna. Canadensys has been contracted by the mission's sponsor, the International Lunar Observatory Association (ILOA), to develop ILO-1's science payload, which includes an optical and a radio telescope, as well as a communications system. As outlined in the July 18th, 2013 PR Newswire press release, "World's First Mission to the Moon's South Pole Announced by Moon Express, Inc. and the International Lunar Observatory Association," the privately funded ILO-1 also has a second mission. ILOA mission partner Moon Express, which is providing the lunar lander, mission architecture and operations planning for ILO-1, plans to use the mission to explore the Moon's South Pole for mineral resources and water. ILO-1 will be preceded by the International Lunar Observatory Precursor (ILO-X) which is currently scheduled for 2015. Graphic c/o ILOA. ILOA, a non-profit corporation based in Hawaii, has positioned ILO-1 as one of a series of precursor missions (beginning with its Lunar-based Ultraviolet Telescope (LUT) aboard China's Chang’e-3 spacecraft currently operating on the Moon) that will culminate in a human mission planned for 2020. ILOA's ultimate goal is the establishment of a human base at the Lunar South Pole. Canadensys seeks to combine its collective store of experience with modern technology to make space more accessible and extend humanity's reach beyond Earth. By harnessing the best of both past and future, Canadensys has positioned itself for success. Is a Canadian Launch Provider Necessary or Just Another Option? Many people question whether a Canadian launch capability is necessary or just an exciting possibility. A strong case can be made for why it’s an exciting necessity. Capability in space and contact with extraterrestrial terrain are being recognized more and more frequently as national responsibilities, even amid economic woes. This stems not only from curiosity to explore the unknown, but also from the political, economic, technological and military benefits that progressive advancements in space provide a given nation. Likewise, growth in the space sector is exponential; with a sound orbital launch capability follows manned exploratory missions, interplanetary travel and more. The industry is also continuing to evolve from a sole reliance on bloated governmental organizations toward a creative realm of interdependence between federal and commercial entities. Space access is now something that everyone can talk about and take seriously. This leads to why a Canadian launch capability is a necessity and not just a linear step forward. From a narrow-minded point of few, one may say that Canada can capitalize on the launch capabilities of other nations and leave it at that. Unfortunately, there are more complex consequences to this, and it shouldn't go unnoticed that the natural tendency of something not growing is to wither, not to remain the same. These consequences, or avoidance thereof, can be clearly observed within the world's present and historic aeronautical standings. On that note, it is intriguing to note the following; Canada's economy is considered massively resource-based. Unfortunately, resources eventually run out. To relentlessly dedicate an entire nation's focus and funding to the maintenance of a single industry would be foolish, especially when that industry (unlike many others) must eventually die. In many ways, when a shift is forced to take place, the next logical step (one that militarily/technologically dominant countries are already taking) is the space sector. This makes sense due to its ability to employ large numbers of people with wide skill ranges and aggressive, high level intellect. Canada should want this degree of genius aspiring to work in-country. Likewise, interplanetary travel, space resource mining and more are just over the horizon, meaning that the country will have to demonstrate a certain level of presence in space if it wishes to be taken seriously by international partners. Finally, the development of a domestic launch capability reflects that Canada possesses risk-taking ability. Nations that thrive are nations that take massive risks - they are not neutral and coasting, but consistently pushing their boundaries and living at their edge. They understand that there is no growth where there is no pressure. Canada is not typically mentioned among high-profile countries such as the United States, Russia and China because it’s gently or non-gently expressed a passivity in relying on other nations to provide meaningful capabilities that require large amounts of risk to refine. Ground-breaking innovation does not stem from a passive environment, and talent will almost always depart for better opportunity. So how does a country effectively take such a step, moving from a small history of sounding rocket development to orbit-bound launch vehicles? The answer may lie in lessons learned from past attempts, and an understanding of New Space markets – particularly the small-sat sector, and what it truly takes to put them where they belong. The micro-space revolution is finally making a serious impact, delivering new, affordable capabilities to members of the government, commercial and education sectors. In fact, SpaceWorks Enterprises’ 2013 Nano/Micro-satellite Market Assessment reports the number of nano/micro-satellites launched since 2000 indicates a tripling of the market every five years. That said, there are three ways of looking at this growth from a launcher’s perspective. For one, how many institutions are willing to pay for a dedicated ride (or at least one shared only with other sub-100 kg satellites), and how much? Secondly, would organizations add satellites to their plans if they had timely access to a low-cost launcher? Lastly, how many new organizations would enter the industry due to lower cost barriers? In many ways, the uprising of a cheap, readily available delivery system to space could support the emergence of an entirely new market of satellites with diverse, creative applications - similar to when the smart phone first served as a platform for new smart phone apps. These are questions that must be answered in order to effectively orchestrate a small launch solution. Development based entirely on VC funding or other private financing options outside the rocket company may not be entirely practical. The stress of needing to pay back investors decreases a new vehicle's potential to cut costs, and distracts the organization. Likewise, it’s been proven that internal investment can get the ball rolling, but a successful, long-term launch vehicle operation requires the stabilizing factor of governmental funding, particularly in collaboration with a national space program. This most notably helps absorb heavy R&D expenses that often lead new firms to failure. 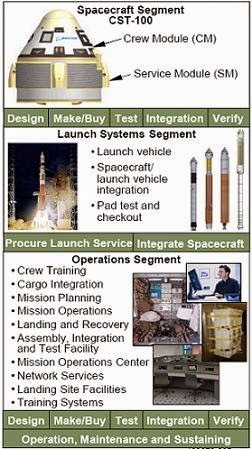 R&D plays a significant role in this type of project because it will not be a “blast from the past” that changes the future of private/public access to orbit; it will likely (and ironically) be the result of a very costly technology refinement and testing effort in search of a new, innovative approach to launch. If federal support isn’t prominent, which may be the case for up-and-coming Canadian contenders due to continued statements from the CSA to prioritize the satellites themselves, then the developer will have to find a way to gather sufficient resources (internally or externally) to survive an early failure. Start-up failures are common, but a company may be able to beat the odds by balancing the degree of new technology used against the risks involved, which is a difficult process as proven by today’s space tourism companies. A design that maximizes operability, even at the expense of higher R&D funding, and uses modern technology without demanding a breakthrough has the best chance of success. Moreover, a lean, focused organization whose budget is not subject to constant depletion from other priorities is essential. Bringing a challenge of this magnitude to Canada would enliven Canada's economy, technological capacity and national identity in a big way. As it stands, the country has never achieved an orbital launch, but doing so is becoming more of a necessity today than ever before. It is often only so long before such a decision must be prioritized, and this usually occurs when a position of rock bottom has been reached. Canada can avoid such a situation by engaging in forward thinking, internally supporting the commercialization of a grand industry, and showing the world that it’s excited to take risks and be a part of something truly spectacular. 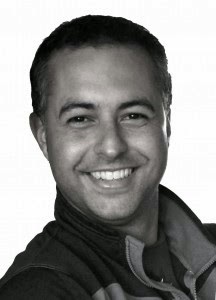 Tyler Reyno is the founder and CEO of Open Space Orbital Inc.